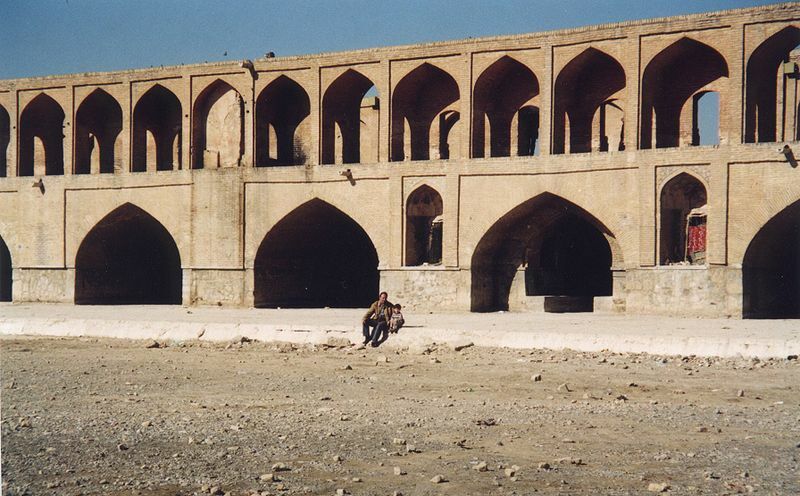 Zayandeh Rud (Isfahan River) without water in drought — at Si-o-se pol (bridge), Isfahan. Iran is currently experiencing extreme water shortages. The Center for Climate and Security and others have reported on the water crisis in the country for some time, but it continues unabated. Iran has experienced a reported 14 years of successive drought, and today Twitter is abuzz with images of protests in Isfahan, Iran, over water shortages in the area. As with so many water problems, this is a crisis primarily about water management, and the current Iranian government does not seem up to the task. With so many other security risks demanding the attention of leaders in the region and internationally, it remains unclear whether or not better water management will receive the attention it deserves (See “Iran: Dried Out” by Najmeh Bozorgmehr for more on the need for Iran to improve its governance of this vital resource). Of course, water is not known to acknowledge political boundaries, so Iran’s water problems will not remain confined to the nation for very long. Given broader instability in the region, and the likelihood of a continued decline in precipitation levels (due to the effects of climate change), the international community should pay very close attention to what’s happening in Isfahan. By Caitlin Werrell and Francesco Femia in climate and security on August 29, 2014 . The last two weeks I was doing similar problems. However, the subject was a Territory of the Pacific states of USA. I was interested in the relationship between drought, fires and exposure to drier conditions on the interaction of lithospheric plates, which is the source of earthquakes – especially in California. As usual, I did not have reliable information about the observations of the weather in the Pacific states … at least for the last 50 years, and data on the power of earthquakes in this region. In any case, the melting of ice in the Arctic and, as a consequence, increase the level of the Pacific Ocean has increased pressure on the plate off the west coast of North America (at a constant pressure on the continental plate), which could affect the shape and interaction of lithospheric plates … and that is a source of earthquakes. I believe that the increase in the intensity of rainfall – in addition to the elimination of dry and fire season in the Pacific states – can have an impact on the frequency and power of earthquakes. However, is not convinced that this effect would be favorable. The solution of the problem of increasing the intensity of rainfall – on the West Coast of USA – is not particularly difficult … furthermore, as a result – it is possible to slow down the melting ice in the Arctic.